Although the West Palm Beach, Fort Lauderdale and Homestead, FL area might not get a lot of snow, that doesn’t mean the Christmas spirit is any less strong. 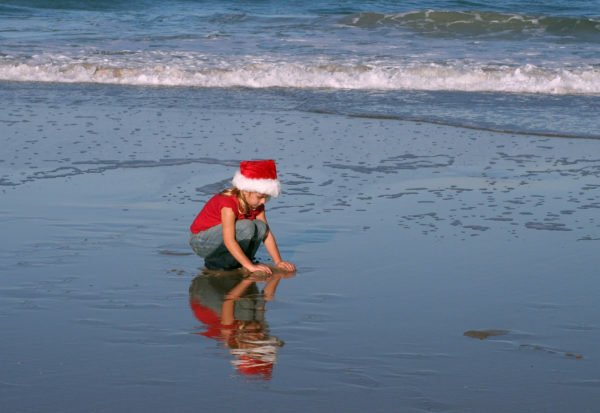 There are many fun and exciting holiday events in the southern Florida area. We compiled a list of some of our favorites, check them out below! This year, is the 25th Anniversary of the 100ft Christmas Tree! After the Christmas tree is lit, visitors will be able to take pictures with Santa. There will also be ice-skating, mini golfing and so much more! Although the event is free, the activities cost a small fee. This year is the 47th Annual Holiday Boat Parade! This parade will include boats decorated with lights, decorations, displays, carolers and more. A panel of judges will award the boats prizes in different categories. Throughout the parade, visitors will be able to donate items to the Toys for Tots Program. If you have a toy to donate, wave a flashlight and Sea Tow will pull up to various dockside locations to collect the toys. Come celebrate Christmas on Las Olas Boulevard in downtown Fort Lauderdale! This event will feature performances from local choirs, sledding, photos with Santa, food, beverages and holiday booths! Santa will be at the Historic Stranahan House Museum in Fort Lauderdale to meet and take pictures with kids. This event will also include a fun-filled day, with crafts and story time with Mrs. Claus! Tickets for this event are available online. Come experience the wonder of The Nutcracker this holiday season! This show follows a young and imaginative girl named Clara as she meets the Nutcracker Prince and toy soldiers to help defeat the evil Mouse King. Tickets to this show are available online. Bring your kids to Zoo Lights Miami this holiday season! This event will feature Snowman’s River Boat Rides, hot chocolate and cookies, photos with Santa and holiday shopping at the Zoo Gift Shop! Before heading to Zoo Lights Miami, check the calendar! Each week has a different theme. Did you know that Lighthouse Self Storage has storage facilities in Homestead, FL, Fort Lauderdale, FL and West Palm Beach. Many homeowners and renters have already reaped the benefits of using a storage unit to store seasonal items. A storage unit allows you to easily transition from season to season storing out-of-season items. Are you ready to reserve a storage unit for seasonal items? Check out our location page!